How The Cannonball Got His Name. 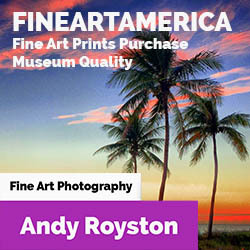 The first in a series of profiles of Florida’s greatest artists, Andy Royston begins with Fort Lauderdale’s be-bop great Julian ‘Cannonball’ Adderley. On a Friday night in June 1955 a band director from Fort Lauderdale’s Dillard High School set out on a long drive to New York City. His brother Nat, a two year veteran of the New York City jazz scene, had offered to share the driving chores, so he stashed his alto sax in the trunk and off they went. The idea was for Julian to do a few graduate courses at New York University and maybe sit in on a few shows. Two days later the brothers arrived in Manhattan, and met up with an old friend of Nat’s from the Lionel Hampton Band, Buster Cooper. Nat and Buster wanted to drop in on a buddy who was gigging that night, and might be able to help Julian find a few stand in shows while he was in the city. The show they dropped in on was at Cafe Bohemia, one of a host of nightclubs in Manhattan that featured regular jazz shows. 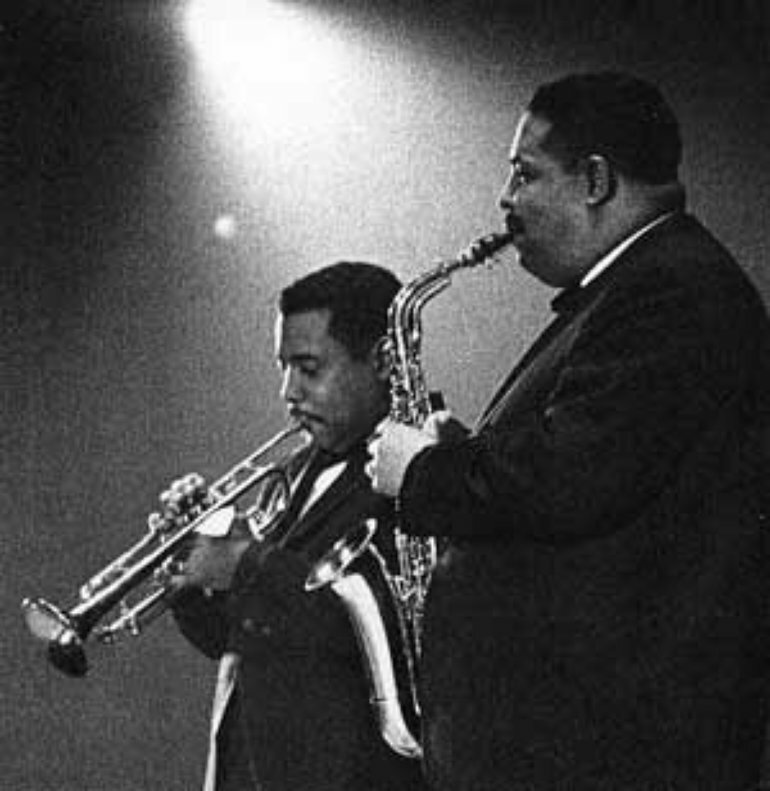 The venue was already legend thanks to Charlie Parker, who had famously sat in on a show there to pay for a bar tab. Parker, though, had never gotten to play the place regularly, and the Greenwich Village jazz scene was still mourning his unexpected death when the Adderley brothers showed up. The house band at Cafe Bohemia were pretty hot themselves. 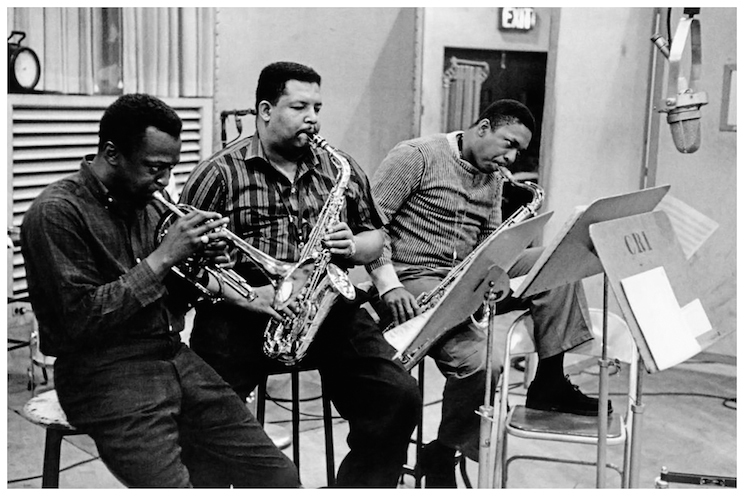 Their leader was bassist Oscar Pettiford, who had recruited pianist Horace Silver, drummer Kenny Clarke, reedman Jerome Richardson and Nat’s buddy Jimmy Cleveland on trombone to create one of the hottest be-bop acts in town. Pettiford, alongside Charles Mingus would become the most recorded bass playing bandleaders in jazz and the pioneer of the cello as a solo jazz instrument. Richardson, however, hadn’t show up for the show on that night and Pettiford wasn’t about to go on without an alto. A buzz went around the club about the problem and sax player Charlie Rouse seemed to be the solution, but didn’t have his instrument with him. Rouse soon noticed that the guys in the back had their instument cases with them. He also recognized Julian, having played with him a few times down in Florida. So – could he loan his alto just for the show? Well, that was the idea. Rouse saw the opportunity for a practical joke. 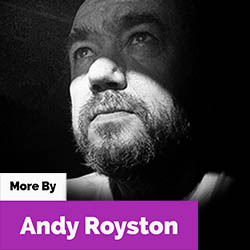 Instead of Rouse taking the stand it was a rotund 26 year old unknown – a music teacher from Florida whose only stage experience was backing up lounge singers and R’n’B starlets. No notice. No rehearsals. Pettiford, apparently,was not amused at having to play with an unknown and started out with a Charlie Parker standard I Remember April, which he called off at a faster pace than usual, just the catch the rookie out. 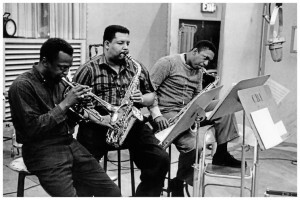 Cannonball with Miles Davis (left) and tenor saxophonist John Coltrane. Adderley appeared with Davis on many notable recordings in the late 1950s, including Milestones and Porgy and Bess, in which Adderley can be heard on the songs Buzzard Song, Fishermen, Strawberry and Devil Crab, and Summertime. No such luck. Cannonball may have been an unknown, but he knew his Charlie Parker and took on the solos in style. The second number was a Pettiford original, Bohemia After Dark, and once again Julian thrived, and soon the club was buzzing. After Charlie Parker’s death, the jazz world was on the look out for the next alto sax virtuoso. Now, out of nowhere, they’d found him. Legend has it that Nat Adderley was approached by a man who wanted to know who this amazing new alto phenom was. Nat blurted out Julian’s old nickname from childhood, ‘Cannibal’. It turned out to be club owner Jimmy Garafolo, the same man who had Charlie Parker play off his bar tab a year earlier. Garafolo took the stage and formally introduced Julian to the cognoscenti as Cannonball. Word spread like wildfire about Adderley’s extraordinary New York debut. Yet Julian, sorry Cannonball, was soon back at work in Broward County to prepare for the new semester at Dillard High School oblivious to the storm he’d caused in the jazz world. Soon of course he was back in the Big Apple in the Pettiford band where everyone now knew exactly how good he was. 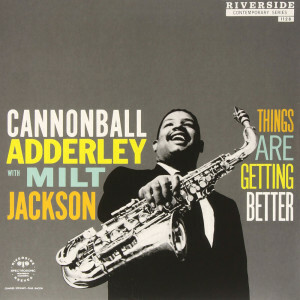 Adderley teams up with Modern Jazz Quartet co-founder and vibraphonist extraordinaire Milt Jackson, backed by the all-star ensemble of Wynton Kelly on piano, Percy Heath on bass, and the legendary Art Blakey on drums. His first recording was with drummer Kenny Clark, with other members of Pettiford’s band including Horace Silver and a young Donald Byrd in on the six session recording. By the time of its release Cannonball’s name would be the only name on the cover of Bohemia After Dark . Back in Florida Cannonball still had his contract at Dillard to fulfill, and he would teach by day and play at the Porky’s club in the evenings. The semester was interrupted during October when he was flown up to New York to play on a session with Sarah Vaughan, followed by his own star turn with a full string arrangements for his debut album. By Christmas, his teaching contract at Dillard ended and he formed his own quintet. The legendary Cannonball was at last free to make some serious noise. “There was no market for a jazz group in Fort Lauderdale, Florida, or Tallahassee! You can forget it ! But we played jazz anyway, and also the current favorites because it was necessary; we had singers. That was just the way that it was. 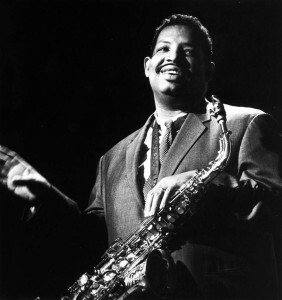 But we used to play things by Dizzy, and Miles, and Bird – but they would come right behind Caledonia, or Cherry Red Blues.” Julian Cannonball Adderley Interview, CODA Magazine 1982. Dillard High School has been recognized for its premier music and dance programs. Here, band director George A. 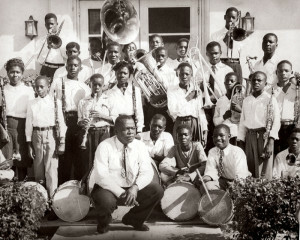 Dean poses with the first band in the school’s history (1946). 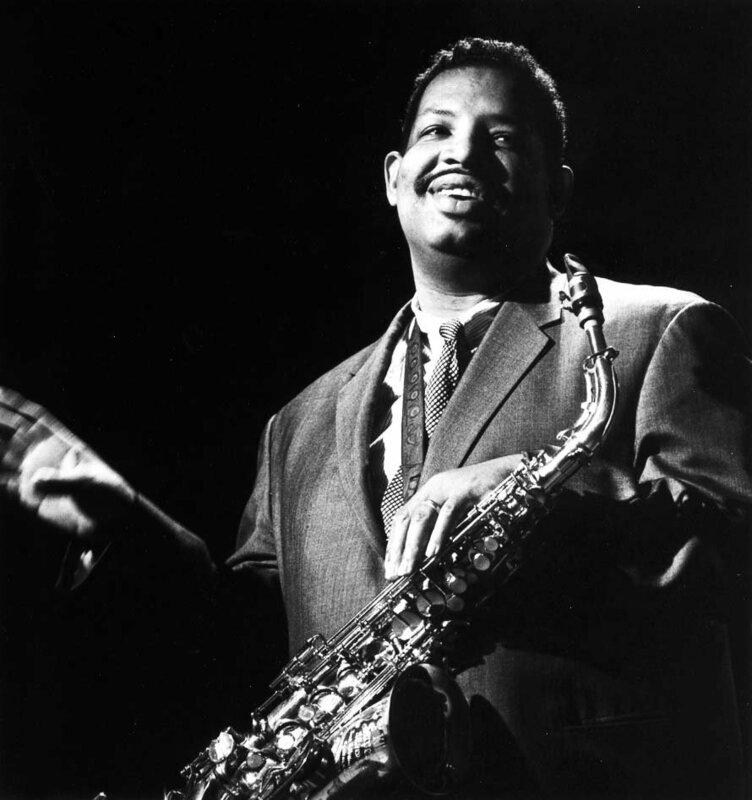 Two years later, Dean was succeeded by legendary saxophonist Julian Edwin “Cannonball” Adderley. During Cannonball’s tenure he taught at both the historic Old Dillard site at 1009 NW 4th Street, and the current home of Dillard High School at 2501 NW 11th Street. The Old Dillard Museum hosts an annual concert series–the Cannonball Jazz Series–in honor of their former band leader. Cannonball’s inspiration lives on today. The Dillard Center for the Arts Jazz Band is historically one of the most recognized and requested marching units in South Florida. “The Force” performs for all home football games, at most local away games, various parades and corporate events through out the tri-county area. The band took a First Place at the High School Jazz Band Competition in 2011 and 2012 and First Place at Swing Central in 2010, 2011 and 2012. DCA Jazz Ensemble is consistently represented in honor jazz ensembles at district, state and national level. Students past and present have been selected into the All County Honor Jazz Bands, The Florida All State Honor Bands, The Grammy Band, and the Monterrey Jazz Festival’s Next Generation Band just to name a few. OLD DILLARD MUSEUM is listed on the National Register of Historic Places since 1991 as the first public schoolhouse built for blacks in Broward County and the first “Colored School” to offer classes beyond the sixth grade. For many years after the school graduated its first seniors in 1938, Dillard was the only high school in the county to provide a 12th Grade to African-American students in Broward County.